A connotation is a feeling or idea that a word has, in addition to its literal or main meaning (the denotation). Often, a series of words can have the same basic definitions, but completely different connotations—these are the emotions or meanings implied by a word, phrase, or thing. For example, “This clothing is affordable!” versus “This clothing is cheap!” Here, “affordable” sounds much better than “cheap,” because the word cheap also implies low quality. Think of these words used in the similar conversations. For example, imagine the difference between describing someone as a “strong woman” or a “sturdy woman”: because of these words’ connotations, the first implies that she is strong emotionally, while the second implies that she is a sturdy physically. Now, apply these two terms to a table—a “strong table” and a “sturdy table” have essentially the same meaning. Most of the examples above can be categorized as having either positive, negative, or neutral connotation, or sometimes both positive and negative, depending on how they are used. A word whose connotation implies positive emotions and associations. For example, “the aroma of my grandmother’s cooking” produces a positive association, because the word “aroma” implies that the smell is pleasing and inviting. A word whose connotation implies negative emotions and associations. If we exchange the adjective “aroma” in the above sentence so that it now reads “the stench of my grandmother’s cooking,” the meaning changes completely. Though both “aroma” and “stench” mean smell, “stench” has a negative connotation; thus, the meal sounds much less appealing. A word whose connotation is neither positive nor negative. For example, when speaking about a pet, the word “dog” has a neutral connotation; but, the word “mutt” has a negative connotation, and the word “purebred” has a positive connotation. Most words have two meanings: a denotative (literal) meaning, and a connotative (implied) meaning. It is important to note that not all connotations are solely positive or solely negative—depending on how a word is used, it can connote different things. Thus it is one of the most critical things to consider when it comes to word choice, in both literature and everyday conversation. In fact, the feelings or meanings associated with words can be everything. Connotations set the tone when writing and speaking, and clarify one’s intentions —they can elicit certain emotions or reactions or help to provide distinct impressions of things. Conversely, choosing words with the wrong connotation can produce an undesired reaction or emotion and misrepresent one’s intentions. Clementine: I apply my personality into paste. Joel: Oh, I doubt that very much. 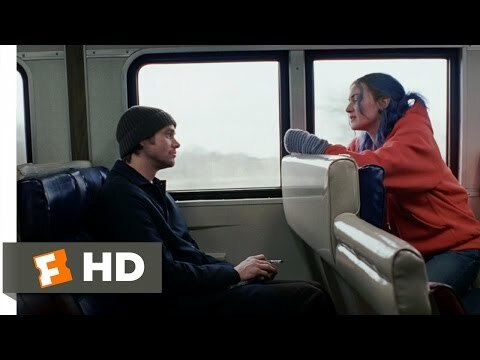 Clementine: Well, you don’t know me so… you don’t know, do you? Joel: Sorry, I was… just trying to be nice. Clementine: … I’m Clementine, by the way. Clementine: No jokes about my name… Nooo, you wouldn’t do that. You were trying to be nice. Joel: I don’t know any jokes about your name. Here, the word “nice” has a negative connotation for Clementine—for her it means dull, ordinary, pleasant; it has no truly significant meaning. Joel, however, is an awkward man, and tries to use the word in a simple but positive way—clearly he finds Clementine to be a bit strange and intense, but chooses to be “nice” by using the word “nice” to describe her. For him, “nice” has a positive connotation, thus he is taken aback when Clementine has such a dramatic reaction. Buddy: I didn’t know you had elves working here! Miles: Oh, well, you’re, you’re hilarious, My Friend. Walter: He doesn’t, uh… Get back to the story, please. Buddy: Does Santa know that you left the workshop? Walter: Buddy, go back to the basement. Miles: Hey, Jackweed. I get more action in a week than you’ve had in your entire life. I’ve got houses in L.A., Paris & Vail, each one with a 70-Inch plasma screen. So I suggest you wipe that stupid smile off your face before I come over and smack it off! You feeling strong, my friend? Call me elf one more time! Buddy: [Whispering] He’s an angry elf. For Buddy, being an elf is his dream—he is a human with love and affection for “elf culture”- he has always wanted to be a “normal” Christmas Elf. 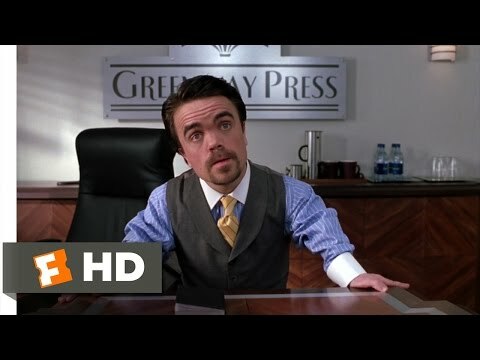 So, when he sees Guy—a man with dwarfism—he foolishly calls him an elf. For Guy, being called an elf is incredibly belittling and insulting; for Buddy, it’s the most positive thing possible—he doesn’t understand that its use is inappropriate in this situation, since it was part of everyday language in the North Pole. Hobbes: Why are you digging a hole? Calvin: I am looking for buried treasure! Here, Calvin says he is digging for treasure, and the word treasure has the positive connotation of something valuable. For readers, something valuable usually means money and/or gold. For Calvin and Hobbes, however, rocks, roots and grubs are valuable, and therefore, “treasure.” Though treasure connotes the same positive meaning—something valuable—for both the readers and for Calvin and Hobbes, the joke lies in the character’s unusual idea of what is valuable. He held out the conch to Piggy, who flushed, this time with pride. Piggy sought in his mind for words to convey his passionate willingness to carry the conch against all odds. As can be seen from the selection above, giving the conch to Piggy implies that he is being given leadership—a positive connotation. Eventually, though, the conch gains a negative connotation, an even stronger meaning for whoever possesses it: power. Holding the conch means holding the power; thus when it is broken, no one has a voice, no one has power, and things inevitably fall apart. While connotation is a word’s implied meaning or feeling, a denotation is a word’s literal meaning; its definition. The two are directly connected; a word’s connotation is essentially a positive or negative extension of its denotation. To understand a word’s denotation is to understand its basic definition. A double entendre is a word or phrase that has two meanings; usually one obvious and one subtle. It is a way of saying something so that it can be understood in two different ways, which makes it a very popular tool in comedy. A typical comedy routine on television might involve parents who create a double entendre so that their kids don’t know what they are talking about—for example, “Mommy needs her medicine” really means “Mommy needs her wine.” The difference between a double entendre and a connotation is that a double entendre is usually an assigned meaning, while a connotation is an implied meaning. A homonym is a word that is spelled one way but has two meanings. For example, “race” as in a race of people, and “race” as in a running competition, likewise, a tree has “bark” and a dog makes the sound “bark.” A homonym is different than connotation because the words’ literal, denotative meanings are different; the words solely share the same spelling. In conclusion, connotation can be everything in language. It gives further meaning to words and phrases, creating positive and/or negative implications for words that have the same principal meaning. Without connotations, language would be much more limited, stagnant, and inflexible—in other words, boring!